Agreement between Customer and Premier River Cruises. This website is offered to you, the customer, conditioned on your acceptance without modification of the terms, conditions, and notices contained herein. Your use of this website constitutes your agreement to all such terms, conditions and notices. (a) Copy any content or information of this website using any manual or automated means for any purpose without express written permission of Premier River Cruises; (b) violate the restrictions in any robot exclusion headers on this website or bypass or circumvent other measures employed to prevent or limit access to this website; (c) take any action that imposes, or may impose, in the discretion of Premier River Cruises, an unreasonable or disproportionately large load on the Premier River Cruises infrastructure; or (d) deep-link to any portion of this website for any purpose without express written permission of Premier River Cruises. THE INFORMATION, SOFTWARE, PRODUCTS, AND SERVICES PUBLISHED ON THIS WEBSITE MAY INCLUDE INACCURACIES OR TYPOGRAPHICAL ERRORS. 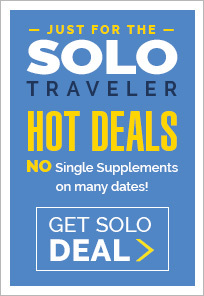 IN PARTICULAR, PREMIER RIVER CRUISES AND ITS AFFILIATES DO NOT GUARANTEE THE ACCURACY OF, AND DISCLAIM LIABILITY FOR INACCURACIES RELATING TO THE INFORMATION AND DESCRIPTION OF THE CRUISE, HOTEL, AIR, CAR AND OTHER TRAVEL PRODUCTS DISPLAYED ON THIS WEBSITE (INCLUDING, WITHOUT LIMITATION, PHOTOGRAPHS, LIST OF HOTEL AMENITIES, GENERAL PRODUCT DESCRIPTIONS, ETC. ), MUCH OF WHICH INFORMATION IS PROVIDED BY THE RESPECTIVE SUPPLIERS. RATINGS DISPLAYED ON THIS WEBSITE ARE INTENDED AS ONLY GENERAL GUIDELINES. PREMIER RIVER CRUISES, ITS INDEPENDENT AFFILIATES, AND/OR THEIR RESPECTIVE SUPPLIERS MAKE NO REPRESENTATIONS ABOUT THE SUITABILITY OF THE INFORMATION, SOFTWARE, PRODUCTS, AND SERVICES CONTAINED ON THIS WEBSITE FOR ANY PURPOSE, AND THE INCLUSION OR OFFERING FOR SALE OF ANY PRODUCTS OR SERVICES ON THIS WEBSITE DOES NOT CONSTITUTE ANY ENDORSEMENT OR RECOMMENDATION OF SUCH PRODUCTS OR SERVICES BY PREMIER RIVER CRUISES OR ITS INDPENDENT AFFILIATES. ALL SUCH INFORMATION, SOFTWARE, PRODUCTS, AND SERVICES ARE PROVIDED "AS IS" WITHOUT WARRANTY OF ANY KIND. PREMIER RIVER CRUISES, ITS INDEPENDENT AFFILIATES, AND/OR THEIR RESPECTIVE SUPPLIERS HEREBY DISCLAIM ALL WARRANTIES AND CONDITIONS WITH REGARD TO THIS INFORMATION, SOFTWARE, PRODUCTS, AND SERVICES, INCLUDING ALL IMPLIED WARRANTIES AND CONDITIONS OF MERCHANTABILITY, FITNESS FOR A PARTICULAR PURPOSE, TITLE, AND NONINFRINGEMENT. THE CARRIERS, HOTELS, CRUISES, TOUR OPERATORS, AND OTHER SUPPLIERS PROVIDING TRAVEL OR OTHER SERVICES FOR PREMIER RIVER CRUISES ARE INDEPENDENT ENTITIES AND NOT AGENTS OR EMPLOYEES OF PREMIER RIVER CRUISES OR ITS INDEPENDENT AFFILIATES. PREMIER RIVER CRUISES AND ITS INDEPENDENT AFFILIATES ARE NOT LIABLE FOR THE ACTS, ERRORS, OMISSIONS, REPRESENTATIONS, WARRANTIES, BREACHES, OR NEGLIGENCE OF ANY SUCH SUPPLIERS OR FOR ANY PERSONAL INJURIEIS, DEATH, PROPERTY DAMAGE, OR OTHER DAMAGES OR EXPENSES RESULTING THEREFROM. Premier River Cruises AND ITS INDEPENDENT AFFILIATES HAVE NO LIABILITY AND WILL MAKE NO REFUND IN THE EVENT OF ANY DELAY, CANCELLATION, OVERBOOKING, STRIKE, FORCE MAJEURE OR OTHER CAUSES BEYOND THEIR DIRECT CONTROL, AND THEY HAVE NO RESPONSIBILITY FOR ANY ADDITIONAL EXPENSE, OMISSIONS, DELAYS, RE-ROUTING OR ACTS OF ANY GOVERNMENT OR AUTHORITY. IN NO EVENT SHALL PREMIER RIVER CRUISES, ITS INDEPENDENT AFFILIATES, AND/OR THEIR RESPECTIVE SUPPLIERS BE LIABLE FOR ANY DIRECT, INDIRECT, PUNITIVE, INCIDENTAL, SPECIAL, OR CONSEQUENTIAL DAMAGES ARISING OUT OF, OR IN ANY WAY CONNECTED WITH, THE USE OF THIS WEBSITE OR WITH THE DELAY OR INABILITY TO USE THIS WEBSITE, OR FOR ANY INFORMATION, SOFTWARE, PRODUCTS, AND SERVICES OBTAINED THROUGH THIS WEBSITE, OR OTHERWISE ARISING OUT OF THE USE OF THIS WEBSITE, WHETHER BASED ON CONTRACT, TORT, STRICT LIABILITY, OR OTHERWISE, EVEN IF PREMIER RIVER CRUISES, ITS INDEPENDENT AFFILIATES, AND/OR THEIR RESPECTIVE SUPPLIERS HAVE BEEN ADVISED OF THE POSSIBILITY OF DAMAGES. BECAUSE SOME JURISDICTIONS DO NOT ALLOW THE EXCLUSION OR LIMITATION OF LIABILITY FOR CONSEQUENTIAL OR INCIDENTAL DAMAGES, THE ABOVE LIMITATION MAY NOT APPLY TO YOU. (2) by third parties as a result of (a) your breach of these website Terms, Conditions, and Notices or the documents referenced herein; (b) your violation of any law or the rights of a third party; or (c) your use of this website. No unlawful or prohibited use. As a condition of your use of this website, you warrant that you will not use this website for any purpose that is unlawful or prohibited by these terms, conditions, and notices. Links to third-party websites. This website may contain hyperlinks to websites operated by parties other than Premier River Cruises. Such hyperlinks are provided for your reference only. Premier River Cruises does not control such websites and is not responsible for their contents or your use of them. 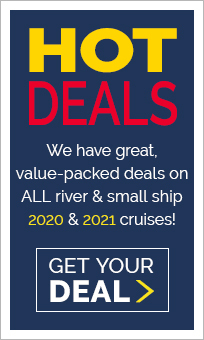 Premier River Cruises’ inclusion of hyperlinks to such websites does not imply any endorsement of the material on such websites or any association with their operators. Premier River Cruises is not the supplier collecting and remitting said tax to the applicable tax authorities. Premier River Cruises is not a co-supplier associated with the supplier with whom we book or reserve our customer's travel arrangements. Taxability and the appropriate tax rate vary greatly by location. Premier River Cruises actual tax cost paid to the supplier may vary from the tax recovery charge, depending upon the rates, taxability, etc. in effect at the time of the actual use of the cruise, escorted tour, vacation package, hotel, car, etc. by our customer. Certain jurisdictions impose a hotel occupancy tax or other type of transaction tax upon the booking of a cruise, an escorted tour, a vacation package, a hotel room, an automobile, etc. The type of tax charged by the supplier will vary by service and location. Service Fee. Premier River Cruises currently does not have any Service Fees. We reserve the right to impose them without notice at a future date. These fees cover the costs incurred by Premier River Cruises in servicing your travel reservation. Travel Destinations. Although most travel, including travel to international destinations, is completed without incident, travel to certain destinations may involve greater risk than others. Premier River Cruises urges passengers to review travel prohibitions, warnings, announcements and advisories issued by the United States Government prior to booking travel to international destinations. Information on conditions in various countries and the level of risk associated with travel to particular international destinations can be found at www.state.gov, www.tsa.gov, www.dot.gov, www.faa.gov, www.cdc.gov, www.treas.gov/ofac and www.customs.gov. BY OFFERING FOR SALE TRAVEL TO PARTICULAR INTERNATIONAL DESTINATIONS, PREMIER RIVER CRUISES DOES NOT REPRESENT OR WARRANT THAT TRAVEL TO SUCH POINTS IS ADVISABLE OR WITHOUT RISK, AND IS NOT LIABLE FOR DAMAGES OR LOSSES THAT MAY RESULT FROM TRAVEL TO SUCH DESTINATIONS. Modification of these terms and conditions. Premier River Cruises reserves the right to change the terms, conditions, and notices under which this website is offered and you agree to accept and be bound by those terms, conditions, and notices that are in effect at the time of your use of Premier River Cruises website and facilities. This agreement is governed by the laws of the State of California, USA. You hereby consent to the exclusive jurisdiction and venue of courts in Los Angeles County, California, USA, in all disputes arising out of or relating to the use of this website. Use of this website is unauthorized in any jurisdiction that does not give effect to all provisions of these terms and conditions, including, without limitation, this paragraph. You agree that no joint venture, partnership, employment, or agency relationship exists between you and Premier River Cruises as a result of this agreement or use of this website. Premier River Cruises' performance of this agreement is subject to existing laws and legal process, and nothing contained in this agreement is in derogation of Premier River Cruises right to comply with law enforcement requests or requirements relating to your use of this website or information provided to or gathered by Premier River Cruises with respect to such use. This agreement (and any other terms and conditions referenced herein) constitutes the entire agreement between the customer and Premier River Cruises with respect to this website and it supersedes all prior or contemporaneous communications and proposals, whether electronic, oral, or written, between the customer and Premier River Cruises with respect to this website. A printed version of this agreement and of any notice given in electronic form shall be admissible in judicial or administrative proceedings based upon or relating to this agreement to the same extent and subject to the same conditions as other business documents and records originally generated and maintained in printed form. 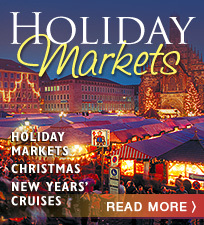 Use of Premier River Cruises river cruise specialists. Premier River Cruises River Cruise Specialists are provided solely to assist customers in determining the availability of travel-related goods and services and to make legitimate reservations or otherwise transact business with suppliers, and for no other purposes. Premier River Cruises experts may be Independent Affiliates who are independent contractors who own and operate their own travel business and as such are solely responsible for their own actions. You agree to be financially responsible for all of your use of this website and the use of River Cruise Specialists of Premier River Cruises (as well as for use of your account by others, including, without limitation, minors living with you). You also warrant that all information supplied by you or members of your household in using this website is true and accurate. Without limitation, any speculative, false, or fraudulent reservation or any reservation in anticipation of demand is prohibited. You agree that the travel services reservations facilities of this website shall be used only to make legitimate reservations or purchases for you or for another person for whom you are legally authorized to act. You understand that overuse or abuse of the travel services reservation facilities of this website may result in you being denied access to such facilities. Separate terms and conditions will apply to your reservation and purchase of travel-related goods and services that you select. You agree to abide by the terms or conditions of purchase imposed by any supplier with whom you elect to deal, including, but not limited to, payment of all amounts when due and compliance with the supplier's rules and restrictions regarding availability and use of fares, products, or services. You understand that any violation of any such supplier's conditions of purchase may result in cancellation of your reservation(s) or purchase, in your being denied access to any cruises, escorted tours, vacation packages, flights, hotels, or automobiles, in your forfeiting any monies paid for such reservation(s) or purchase, and in Premier River Cruises debiting your account for any costs Premier River Cruises incurs as a result of such violation. You shall be completely responsible for all charges, fees, duties, taxes, and assessments arising out of the use of this website. Seller of Travel. Premier River Cruises; California registration number: CST#1015320-40; Florida registration number: Pending. Registration as a seller of travel in these states does not constitute the state's approval. Program Applicability. The MILESTONE EVENT program is applicable to a customer(s) who will “celebrate” a “qualified” event during the year of their travel. Travel does not need to occur on the “event” date, but merely within the calendar year of said event. Subject to the approval of Premier, Milestone Event special features including additional discounts apply to all guests who travel with the “celebrant” on the same ship and sail date, and who reserve their accommodations with Premier River Cruises. The Milestone Event program does not apply to all river cruise lines and applies ONLY to 7-night or longer river cruises. Proof of Eligibility. Premier River Cruises will require proof of the qualifying event. For Milestone Birthday, a copy of current passport or valid driver’s license will suffice. For Milestone Anniversary, a true copy of the marriage license shall be required. Exceptions to the above Proof of Eligibility shall only be allowed at the sole discretion of Premier River Cruises. All Milestone Event reservations shall be made subject to a timely receipt [2 weeks] of said Proof of Eligibility. Milestone Event Benefits. Program benefits will vary by cruise line, ship and sailing date. Your Premier River Cruise agent will be glad to review all benefits with you upon your initial call or email. General. 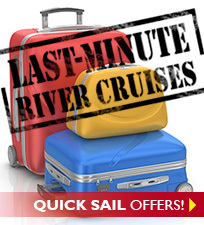 Cruise lines have very rigid and costly cancellation penalties and fees that are never waived. For this reason we urge each participant to review the Travel Insurance Protection materials found on this Premier River Cruises Website. In addition, information on Insurance Protection will be enclosure with your initial Premier invoice. For your protection and because there are time sensitive requirements to qualify for a “waiver of pre-existing conditions” Premier automatically adds the applicable insurance premium to your initial invoice. Should you elect not to take the travel protection, it is your responsibility to request it be removed. Normal cruise line and/or Premier River Cruise cancellation fees do apply to all participants on a Milestone Event cruise.